Formal membership to our club compels all members to obey all club rules and points of safety as laid down in National C.A.A Guidelines. Please announce your takeoff and landing intentions to the other pilots, including the direction you are landing from. All pilots must stand in the designated flight area. Taxiing in the pit area is not allowed under any circumstances. Aircraft must be restrained at all times when starting or running engines in the pit area. Please obey club duty and safety officers. The address of the nearest certified testing station is: Mr Fred Wagner, 32 Ruskin Street, Beresfield. Phone (02) 4966 1067. Please place your surname, Christian name, and frequency on the Club Flying Board before flying. Have your club membership card with you whilst flying at the COMSOA field. These extracts are for your information. including all model aircraft, except as detailed hereunder. (a) Models weighing less than 100 grams (3.5oz). regulated by the MAAA so as to maintain a high standard of safety. requirements of the MAAA Manual of Procedures as well as CAR (1998) Part 101.
his/her model’s compliance, with CAR (1998) Part 101 and also with all MAAA rules as required by the MAAA Manual of Procedures. CASA or MAAA web sites, www.casa.gov.au and www.maaa.asn.au. contained in CAR (1998) Part 101.
creates a hazard to another aircraft, another person, or property. enough for the person operating the model to be able to see it continuously. procedures of an Approved Aviation Administration Organisation. See MAAA Procedure – Night Flying, MOP018. in a competition within 30 metres of someone who is judging the competition. above. See item 6.10 for details for the MAAA 30 Metre rule. Someone who is operating a model aircraft, must normally ensure that, while the model aircraft is IN FLIGHT, or is LANDING or TAKING OFF, it stays at least 30 metres horizontally away from, and at any height vertically above, any person or occupied building/vehicle, not directly associated with the operation of model aircraft. (i) people are behind the model aircraft while it is taking off. who is judging the competition. operating other aircraft, Flight Line Directors, Safety Officers, Instructors, and similar people who are directly involved with the operation of model aircraft at the time. In addition these may include pilots and their assistants with aircraft in the “pits” provided that this area is not accessible by the public. Wherever possible the pits shall be located outside the 30 metre limit or if this is not possible as near to 30 metres as can be reasonably achieved. 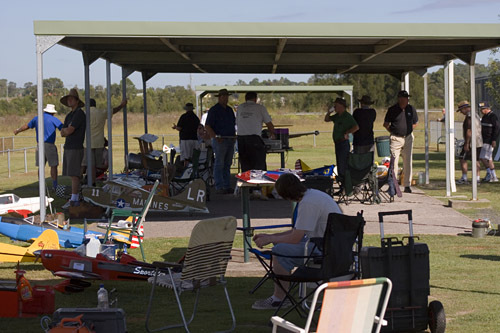 public viewing areas of model aircraft clubs.